This exclusive tour includes exceptional animal interactions of the wildest kind! An experienced guide will ensure that you enjoy every second of this two-hour private tour filled with unforgettable animal encounters and insights from the animal caretakers about the park's amazing creatures. Help feed a sloth, flamingos, and alligators during a rare encounter with these fascinating animals. 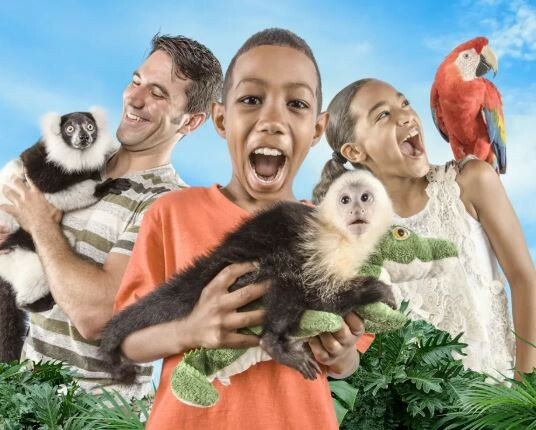 Get up-close and personal to cool reptiles, lemurs, kangaroos and Aldabra tortoises. Sit at arm's length with "Mama Cass", the only tame Cassowary on the planet, or touch the white collar of an Andean condor and much more. This is an adventure of a lifetime with one-of-a-kind VIP experience.